Flesh Forest and The Elephant Only Zoo aka FFATEOZ is not your typical band name. They're not your typical band either. 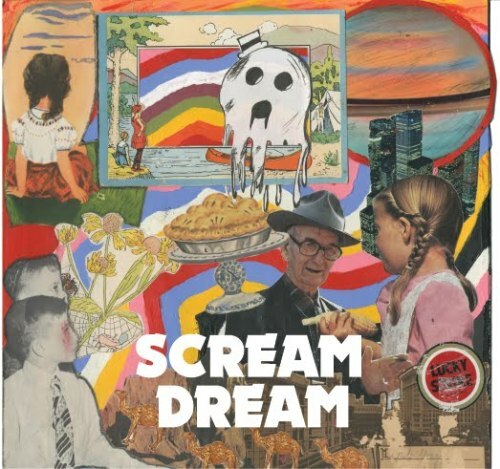 Michael Hlady and John Lutkevich (FFATEOZ) dropped their debut album Scream Dream this week bringing a mine bending brainwash to the table and serving it to you like a fine wine. The album is out there, but it has an underlying beauty to it. It is simple yet complicated, hectic but calm – something that makes you think while teasing your brain and putting your mind to work. The band from Boston caught my eye and I never looked back – they're a band you should definitely give a listen to. Calling their music "Classical Trance," they've taken my typical idea of music and thrown it through an LSD coated blender – so take a sip, and take a trip to the other side with Scream Dream by Flesh Forest and The Elephant Only Zoo. You can Download the entire album by clicking on the image below.